"I've learnt so much at Club Wandsworth. DSC have also helped me to progress as an athlete. This is #MyStory!" Whilst attending Club Wandsworth as a volunteer, Ben has improved his social skills and empathy towards his peers. In his spare time, he's also training for Tokyo 2020...! Ben first came to us through a referral from Westminster Council Employment Team, who were keen to get Ben into sports coaching. 2 years on, as well as volunteering weekly at Club Wandsworth, Ben volunteers for The Tennis Foundation and trains 3 times a week with the Herne Hill Harriers athletics club. 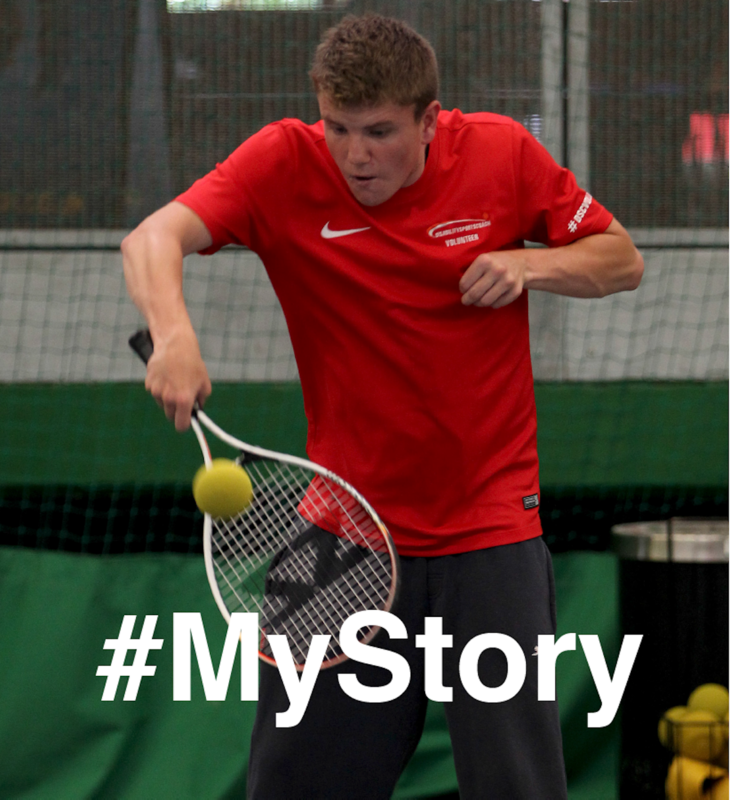 Our Community Club programme has inspired and enabled Ben to be more involved in sport as a competitor and as a coach. Last summer at Wandsworth sports day, Ben was introduced to a coach at Herne Hill Harriers. Ben started training within a mainstream session once a week. His recent progress has resulted in training 3 times a week since September 2016. Ben is currently undergoing trials with the English Association of Athletics to be part of a training programme for the Tokyo 2020 Paralympic sprint team. This is incredibly exciting news and showcases how one opportunity and hard work can open so many doors. Ben’s infectious personality and competitive edge has got him where he is today and there is no doubt there is much more to come from Ben. Emma Cranston, Club Development Officer & Club Wandsworth coach observed, “When Ben first started volunteering at Club Wandsworth he just wanted to play football. Today Ben asks who he’ll be working with each week. The confidence this has given Ben is evident in his own sporting journey as a young athlete." You could also be on the ‘train’ to Tokyo 2020 if you get out and find your sport!